In an active magnetic bearing (AMB) system, the catcher bearings (CBs) are essential to protect the system in cases of AMB failure. On the basis of the former researches of double-decker catcher bearings (DDCBs), a tolerance ring is proposed to further improve the performance of DDCB. Firstly, the support model of DDCB supported by tolerance ring is established. Then numerical simulations are carried out to determine the design parameters of tolerance ring. Finally, the tolerance ring is manufactured according to the obtained parameters and relative experiments are carried out to verify the theoretical analysis results. 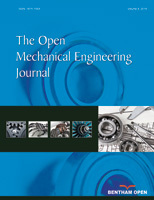 Both theoretical and experimental results validated that proper tolerance ring is beneficial to reduce the following impact forces and vibrations after rotor drop.